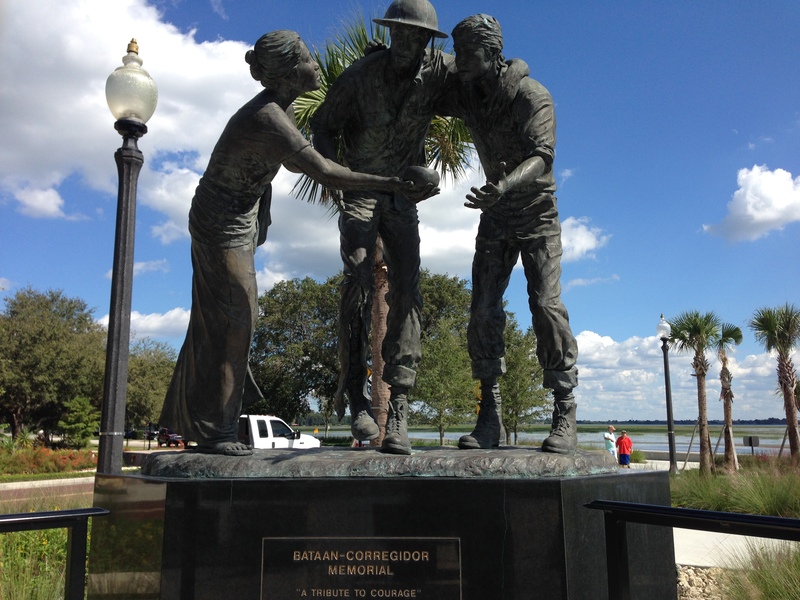 The Bataan-Corregidor Memorial, located on the corner of East Monument Avenue and Lakeshore Boulevard in Lakefront Park, is the result of the combined efforts of the Filipino-American community and the City of Kissimmee. 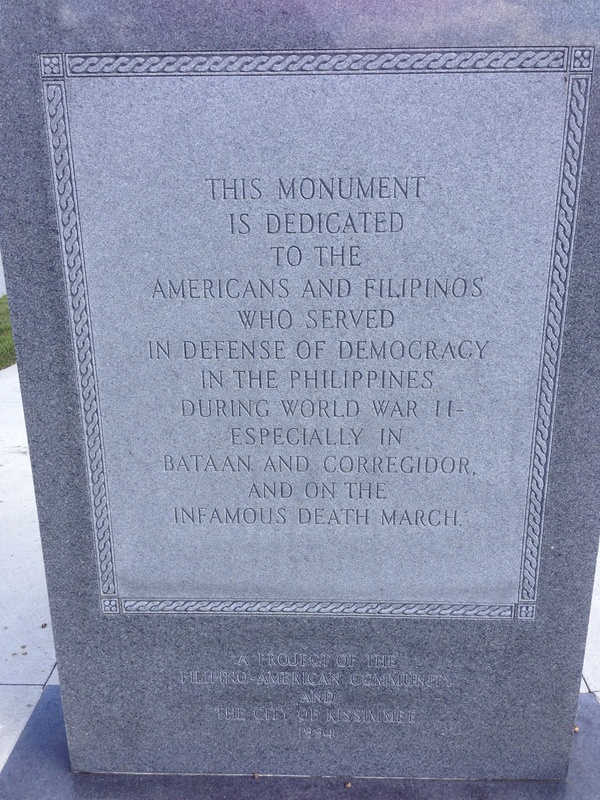 It began in the late 1980s when resident and a former Filipino diplomat, Menandro M. de Mesa, recognized the lack of recognition received for those who fought and perished during the fall of Bataan and Corregidor and the subsequent Death March in World War II. At an annual conference, de Mesa befriended City Commissioner Richard Herring, who also shared the same sentiments towards the victims and veterans of the events. Together, the two founded the nonprofit Bataan-Corregidor Memorial Foundation. 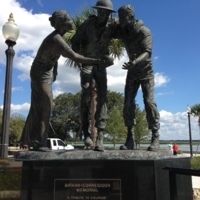 In 1991, using his influence as City Commissioner, Richard Herring was able to persuade the City of Kissimmee to donate a piece of land in Lakefront Park for a future Bataan-Corregidor memorial. 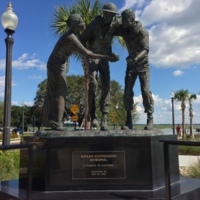 Groundbreaking for the memorial took place in 1994, and in 1995, the memorial was unveiled. 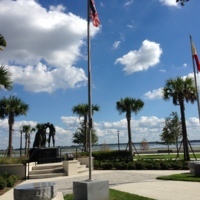 The memorial features several benches, a stone dedication, an American flag, a Filipino flag, and the centerpiece: a statue depicting an American G.I. and a Filipino soldier being offered water by a Filipino woman during the Death March. 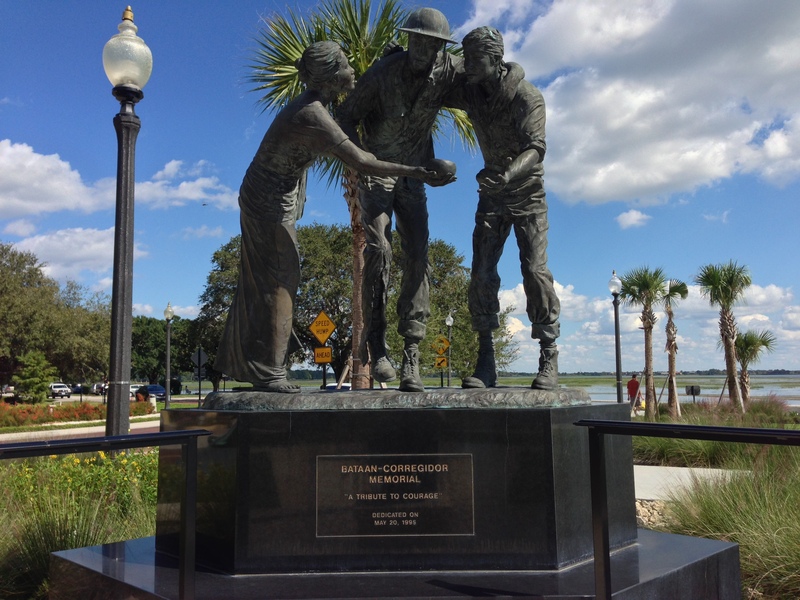 Since its dedication, the memorial has become the site of annual meetings of WWII veterans who survived the infamous Death March. It has also come to be the site of annual gatherings of Filipinos and Americans celebrating Filipino-American Friendship Day on April 9th. The Battle of Bataan lasted from January 7 to April 9, 1942, and marked the most vital phase of the Empire of Japan's invasion of the Philippines during World War II. The United States defended the Commonwealth of the Philippines, but ultimately the battle resulted in the largest surrender in both American and Filipino military history. The forced transfer of 60,000-80,000 Filipino and American prisoners of war (POWs), known as the Bataan Death March, began on April 9. 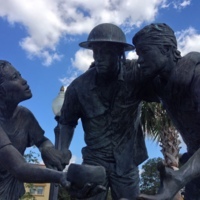 The POWs were subjected to physical abuse and murder. 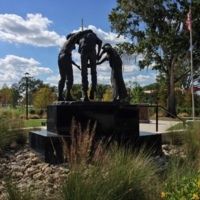 An estimated 2,500 to 10,000 POWs died before reaching Camp O'Donnell. After Bataan fell, organized opposition against Imperial Japan in the Philippines became decimated. The Battle of Corregidor was waged on May 5 and 6 and resulted in another American-Filipino defeat. This event marked the fall of both the Philippines and Asia to Imperial Japan. American and Filipino forces were able to recapture the island in 1945 and the Bataan Death March was declared a war crime following the end of World War II. Original color digital images by Kyle Messamore, October 10, 2013. 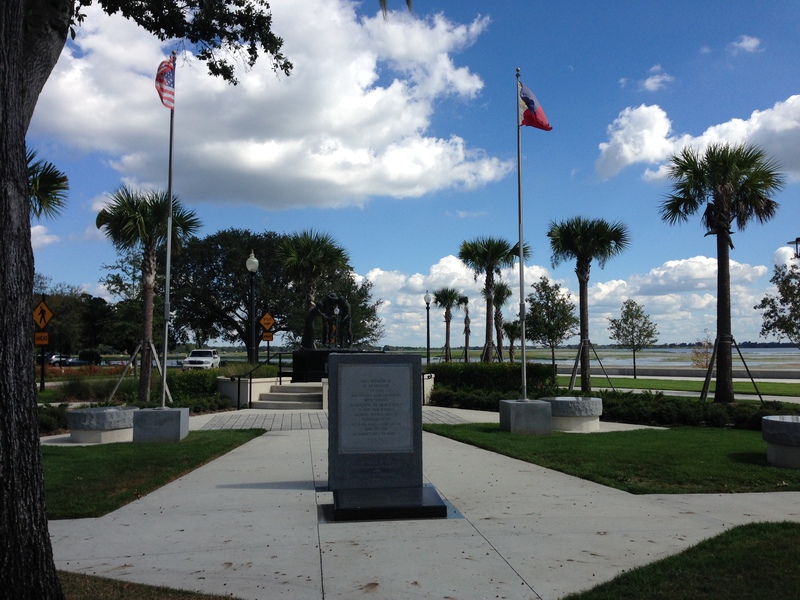 Central Florida Monuments Collection, RICHES of Central Florida. 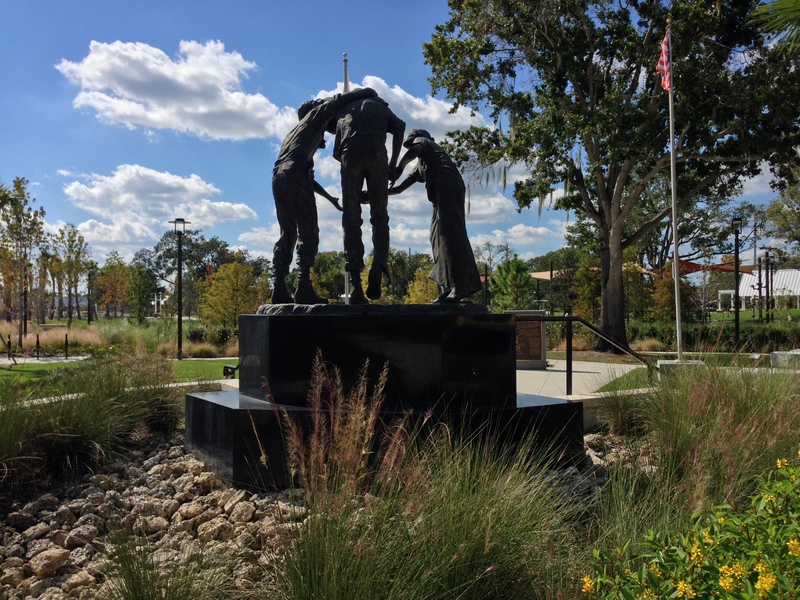 "Hidden in Plain Sight: A Selection of Central Florida Monuments." RICHES of Central Florida. Originally created and owned by Kyle Messamore. Copyright to this resource is held by Kyle Messamore and is provided here by RICHES of Central Florida for educational purposes only. 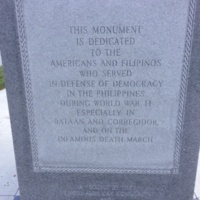 "The Bataan-Corregidor Memorial Foundation, Inc." The Bataan-Corregidor Memorial Foundation, Inc. http://bataan-corregidormemorial.blogspot.com/. Elphick, Ellen Lansigan. 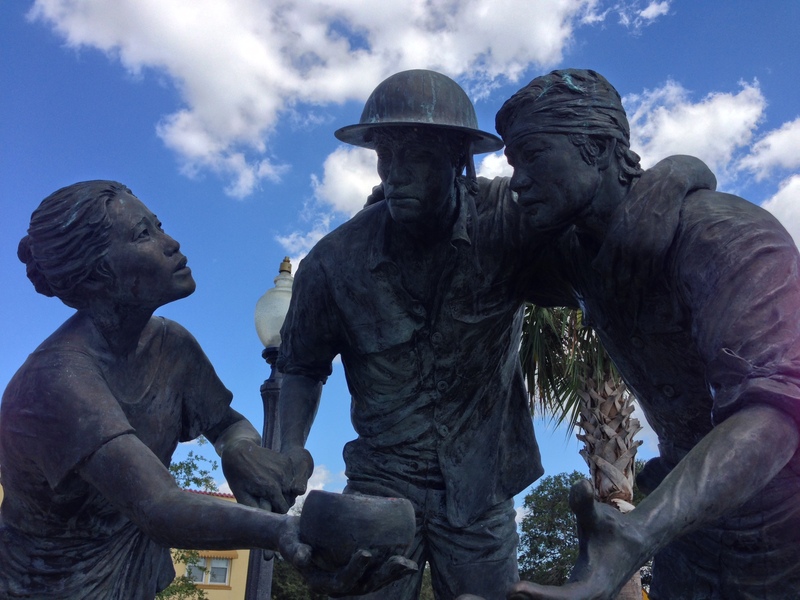 "Florida County Celebrates Fil-Ann Day." Phillipine Daily Inquierer, April 9, 2005. http://news.google.com/newspapers?id=CFg1AAAAIBAJ&sjid=iCUMAAAAIBAJ&pg=1329%2C35680483. Elphick, Ellen Lansigan. "Richard Herring a True Friend of Filipinos." Osceola News Gazette, April 7, 2005. http://archive.osceolanewsgazette.com/popups/newswindow.php?id=10464&print=print. Elphick, Ellen Lansigan. 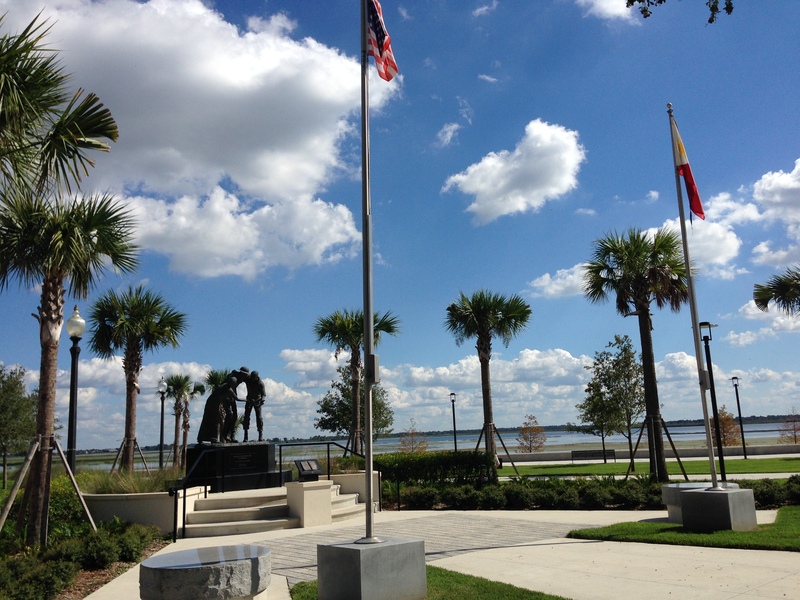 "Floridian Builds Monument to Filipino-American Wartime Friendship." Pinoy Newsmagazine, August 21, 2009. http://news.newamericamedia.org/news/view_article.html?article_id=4945025ee98608cd16922dadf6b71f2e. Breuer, William B. The Great Raid: Rescuing the Doomed Ghosts of Bataan and Corregidor. New York: Miramax, 2005. Greenberger, Robert. The Bataan Death March: World War II Prisoners in the Pacific. Minneapolis, Minn: Compass Point Books, 2009. Norman, Michael, and Elizabeth M. Norman. Tears in the Darkness: The Story of the Bataan Death March and Its Aftermath. New York: Farrar, Straus, and Giroux, 2009. Thompson, Jan, and Alec Baldwin. The Tragedy of Bataan. [United States]: PBS Distribution, 2012. Young, Donald J. 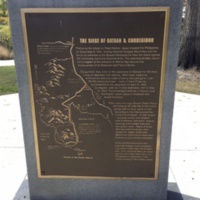 The Battle of Bataan A Complete History. Jefferson, N.C.: McFarland & Co, 2009. Following the attack on Pearl Harbor, Japan invaded the Philippines on December 8, 1941, forcing General Douglas MacArthur and his forces to withdraw to the Bataan Peninsula for their last stand against the advancing Japanese Imperial Army. The adjoining fortified island of Corregidor at the entrance to Manila Bay became the headquarters of all American and Filipino forces. Outgunned, they took on the Japanese on Bataan for 99 days, living on less than half-rations. With food, medicine, ammunition and any hope of being rescued gone, over 76,000 exhausted men - most of them Filipinos - surrendered to the Japanese on April 9, 1942. Corregidor, with its 11,000 defenders, fell on May 6, 1942. The prolonged defense of Bataan and Corregidor upset Japan's timetable and saved Australia. 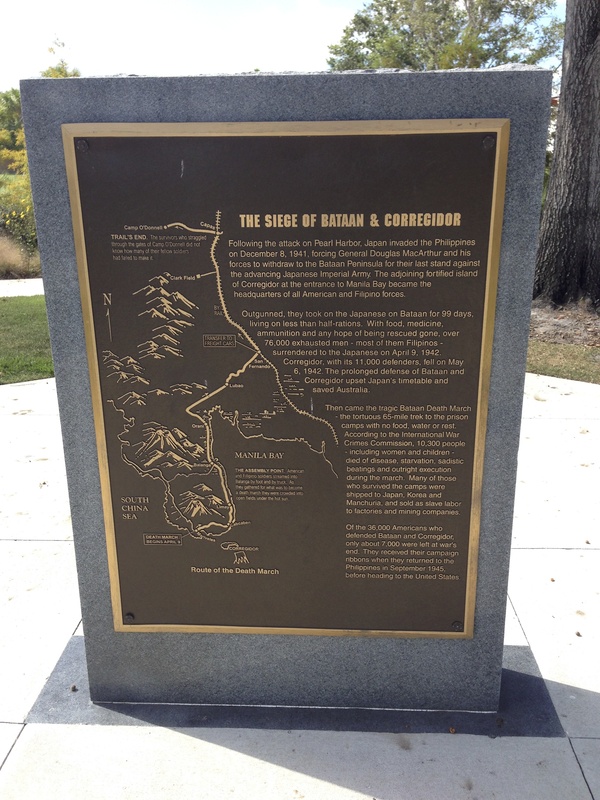 Then came the tragic Bataan Death March - the tortuous 65-mile trek to the prison camps with no food, water or rest. According to the International War Crimes Commission, 10,300 people - including women and children - died of disease, starvation, sadistic beatings and outright execution during the march. Many of those who survived the camps were shipped to Japan, Korea and Manchuria, an sold as slave labor to factories and mining companies. Of the 36,000 Americans who defended Bataan and Corregidor, only about 7,000 were left at war's end. They received their campaign ribbons when they returned to the Philippines in September 1945, before heading to the United States. TRAIL'S END. The survivors who straggled through the gates of Camp O'Donnell did not know how many of their fellow soldiers had failed to make it. THE ASSEMBLY POINT. American and Filipino soldiers streamed into Balanga by foot and by truck. As they gathered for what was to become a death march they were crowded into open fields under the hot sun. Messamore, Kyle . 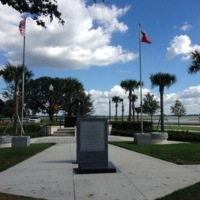 “Bataan-Corregidor Memorial at Lakefront Park.” RICHES of Central Florida accessed April 26, 2019, https://richesmi.cah.ucf.edu/omeka/items/show/2822.